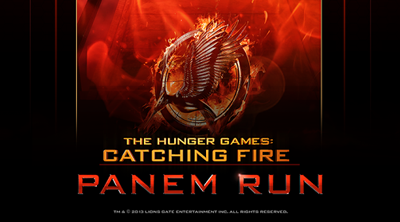 Hunger Games: Panem Run is a fast paced Action and Arcade running game presented by Reliance Big Entertainment (UK) Private Limited, based on the film "The Hunger Games: Catching Fire". Your goal is to spread hope through Panem, collecting Sparks and Materials Katniss has left behind. Navigate through the Districts by dodging, jumping, and sliding though obstacles. Tracker Jackers sent by the Capitol are pursuing you, so be careful! Crafting and Upgrading step by step guide. quickest way to learn the curves is to focus your attention on the vertical lines between the lanes. This will give you a hint on how many lanes there are (helpful to avoid bumping into the sides!). and Scores. Refer to the table below for materials, districts that holds them, and their rarity. them. This is the fastest way to get more Katniss, Primrose or Rue for your upgrades. - Focus more on destroying breakables than collecting Sparks for now. the others, just use materials. Do not use the "Rush" option, save your Gold Coins for instant upgrading instead. 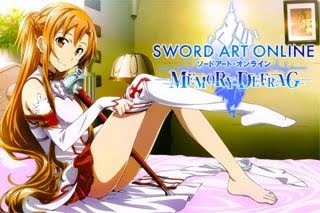 If Perspective is maxed, you may use your Gold Coins to any skill you like. - Note: While Speed is active, always spam slide to break things. - Do not craft any specialty arrows for now to save materials. other players. Example: Wait for players to challenge you (labeled as "Your Turn"), select that match then try to beat him or her by setting a higher score than the other player. Gold Coin rewards here is much better than "Free Run" but it might take a while to get a match though. - Optional: Get free Coins by watching videos! ranks. Example: If the Spin revealed a Rank 5 "Slide Bonus", slide a lot to get bonus scores from sliding. - Slide Bonus: Slide below obstacles or destroy breakables. - Post-Game Distance Bonus: Run as long as you can! - Run as long as you can to increase the "Distance Traveled"
Score. Speed and Shield Power Ups will help you here. - Collect Sparks to increase the "Sparks Collected" Score. Magnet, Perspective, and Efficiency will help you here. Breaking breakables will give some too! 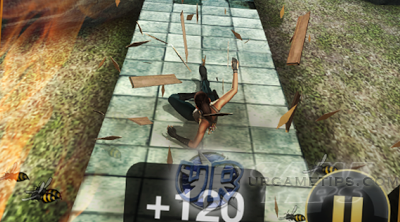 - Jump over or Slide below obstacles to increase the "Actions"
Score. This will solely depend on your personal experience. - Hit all targets in a row to increase the "Targets Hit" Score. Sliding + Changing Lanes! Yes, since a lot of obstacles in the game can be dodged by sliding beneath or by destroying them with the "Slide" action. Just keep on spamming Slide then change lanes or jump to dodge unbreakable obstacles. - Your Final Score is the total of the 4 Sub-Scores above. - Note: You must be online to increase your Score Rank! - This is when you have max skills or Power Ups! - Start crafting lots of Specialty Katniss Arrows! Rank 5 if you have extra Coins to spend. - If you fell, continue for up to 3 times to continue playing!